1979 - Little Caesars Amateur Hockey League begins, which would grow into one of the country’s largest and most respected youth hockey programs. 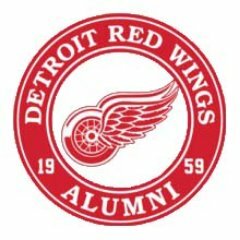 The official Detroit Red Wings Alumni Association is among the most respected non-profit alumni organizations in North America. In fact, several new, as well as old, alumni groups have modeled their organizations after the Red Wings Alumni Association. This is partly due to the group's unparalleled success as benefactors to numerous charities and minor hockey programs. The Detroit Red Wings Foundation, an affiliate of Ilitch Charities, invests in the future of our community by providing funds and resources to worthy causes that contribute to the growth of the sport of hockey. 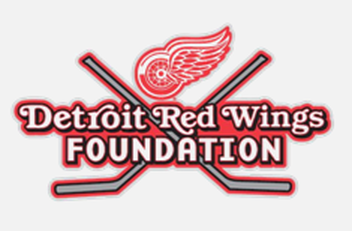 Red Wings players and staff participate in several fundraising events throughout the season including the annual Toast of Hockeytown Wine Tasting Gala, MotorCity Casino Hotel’s Red Wings Charity Poker Tournament and the Red Wings Foundation 50/50 Raffle Program. Through these initiatives, the Foundation raises over one-half million dollars annually for various organizations in our community. 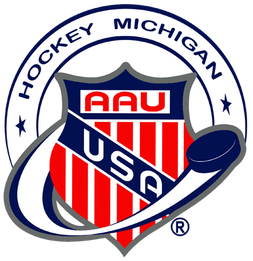 AAU has become the fastest growing ice hockey program within the United States. Currently sanctioning Leagues, Tournament and Clubs from coast to coast within most states, as well as Ontario Canada. Classifications include Mini-Mites (6U) through Juniors (20U), as well as High School leagues. Adults and College are coming soon. Fulfilling the AAU motto: Sports for All, Forever! ​Labatt's Hockey Detroit organizes adult recreational hockey leagues in Hazel Park and Bloomfield, Michigan. LHD plays games at Viking Ice Arena and Detroit Skating Club. 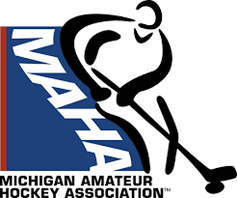 The Michigan Amateur Hockey Association (MAHA) is a sanctioned affiliate of USA Hockey whose purpose is to develop and encourage sportsmanship between all players for the betterment of their physical and social well-being. The association supervises the activities of thousands of amateur hockey teams, and tens of thousands of players, using a volunteer workforce of elected and appointed officials. MAHA supervises the activities of over 2,500 amateur hockey teams, and 50,000 players and coaches using a volunteer workforce of elected and appointed officials. MAHA administers amateur hockey in Michigan through seven established districts. Each District is responsible for the local teams and Associations in their area. Michigan's biggest adult hockey program. We're the recreational hockey program run by hockey players, independent of any arena ownership or management. The result of our unique partnership with quality ice arenas. 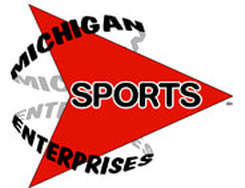 The Michigan Sting men’s adult team primary membership is comprised of seniors — players over and play out of the Troy Sports Complex and is a frequent participant in USA Hockey Adult National Championships. “Our charter promotes a healthy lifestyle as well as education and skill development concepts. The Sting first stepped on the ice as a team 10 years ago when it participated in the Senior Olympics in Lake Placid, N.Y. A decade’s worth of growth has seen the Sting boast a current membership of 500 players. The league consists of a six-team A Division for ex-college hockey players and a six-team B Division for recreational skaters. “We skate 52 weeks a year at least three times a week,” Boyette said. “Because the Troy Sports Complex has four ice surfaces we have the best ice time in the area. We play at 5 p.m. and 6 p.m. on Tuesdays and Thursdays.” The Sting has played in USA Hockey’s Adult Nationals six times. Everything hockey in the great state of Michigan. Michigan is the only place in the world that boasts teams from the NHL, AHL, OHL, NCAA, USHL and NAHL. As if that wasn’t enough, we also have elite levels of youth and high school hockey. We want to be your destination for reading, enjoying, and learning about them all.Over the past two decades, our magazine has become a resource for players, parents, coaches and fans. The NHL Alumni Association serves as a passionate advocate for greater quality of life benefits for all former NHL players. ​The NHL Alumni Association is a registered charitable organization in Canada and the U.S. that serves as a passionate advocate for greater quality of life benefits for all former NHL players. The Association eagerly pursues greater benefits and the implementation of programmatic services devoted to enhancing the lives of retired NHL players and their families. 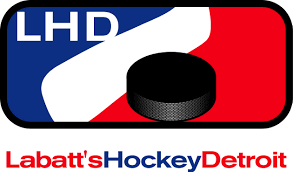 USA Hockey was founded on Oct. 29, 1937, in New York City and the organization is based in Colorado Springs, Colorado. USA Hockey’s primary emphasis is on the support and development of grassroots hockey programs.